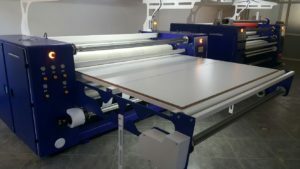 The bonding and lamination of fabric can be used to create a multi-layer construction and often uses a polymer film. Bonded fabrics come in 2 main forms: non-woven textiles, and layers of woven/non-woven fabric joined by means of a bonding agent, such as fabric glue. Laminated fabrics are used in rainwear, automotive, and many other applications. Layers of fabric are joined together with a bonding agent such as a thermoplastic adhesive. A nonwoven fabric is often a material that is made from staple fibres (short) and long fibres (continuous long), which are bonded together. This process is done by using a one or more of the following treatments, chemical, mechanical, heat or solvent. 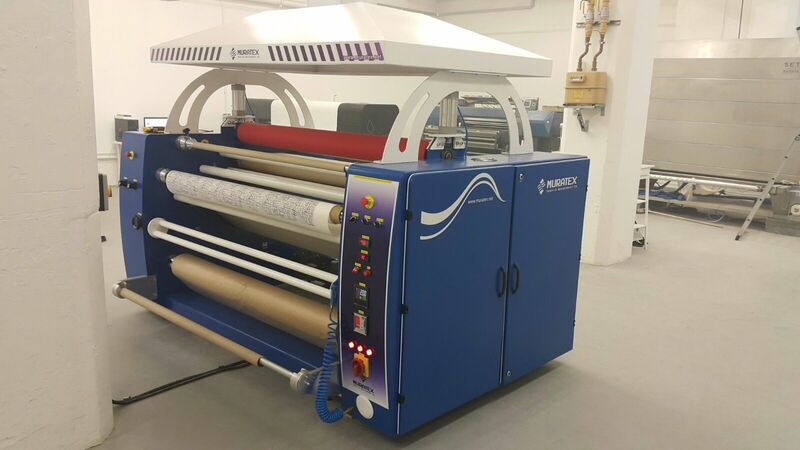 We offer an extensive range of roll to roll, roll to piece, and piece to piece bonding and lamination machines, plus foil bonding, available to handle web/piece widths of up to 5.0m. 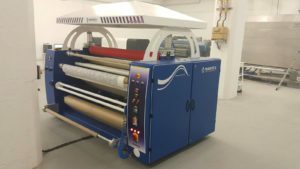 These machines can be incredibly versatile, fulfilling several roles and serving several applications, such as Dye Sublimation Printing, Direct Fixation of fabric that has been printed. Customers can use our machines across many technical textile market sectors, most noteworthy the aerospace and automotive industry. Consequently, our machinery range is especially useful within the seating, fashion and home textile markets. Ranging from a short run entry-level system to a full-scale production line, our machinery solutions offer fantastic value for money. In addition, they can offer a relatively quick return on investment, notwithstanding the latest technology and techniques required. Customers can buy the machines with options, such as a Nomex or Silicone coated belt, Teflon coated drum and Powder Scattering unit. Other options include chilling units, internal and external pressure rollers, bespoke entry and exit systems, plus in-line slitting etc. Visit our demo and test centre to see some machines in operation, or to try your ideas before you buy. Thermoplastic adhesives have varying levels of adhesion and are therefore hugely versatile for many industrial applications. Supplying our customers with thermoplastic adhesives as powder, web, net, mesh or film, we offer solutions to fit with most, if not all applications! Scroll down to view picture and video examples of some of our range and, for more information, please contact us. A complete range of laminating calenders giving the perfect choice to suit your production capacity. 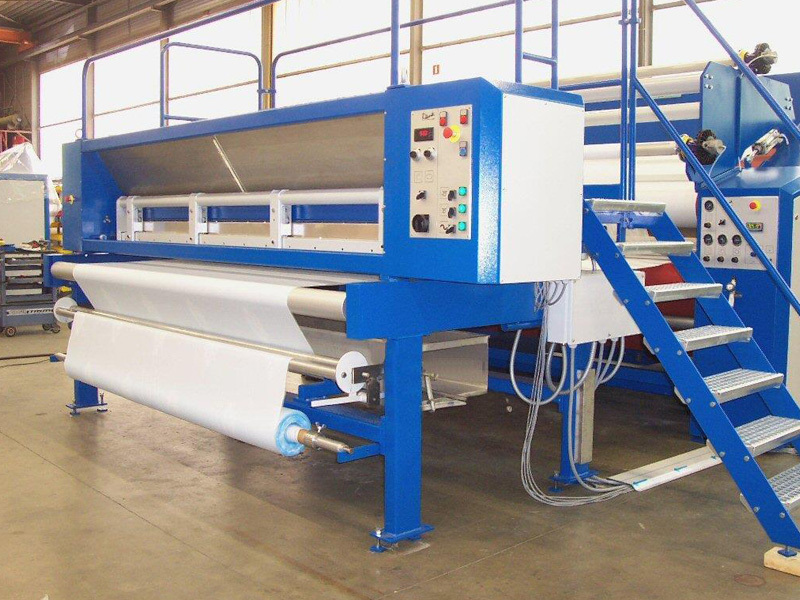 The process by means of a belt laminator allows two, three or even more substrates to be combined under the influence of temperature, pressure and dwell time. The adhesion between the substrates can be obtained by the use of thermoplastic adhesives, such as films, powders or melting fibres. Accurate control of temperature, substrate guiding, substrate tension and blanket pressure results in high-quality end products. 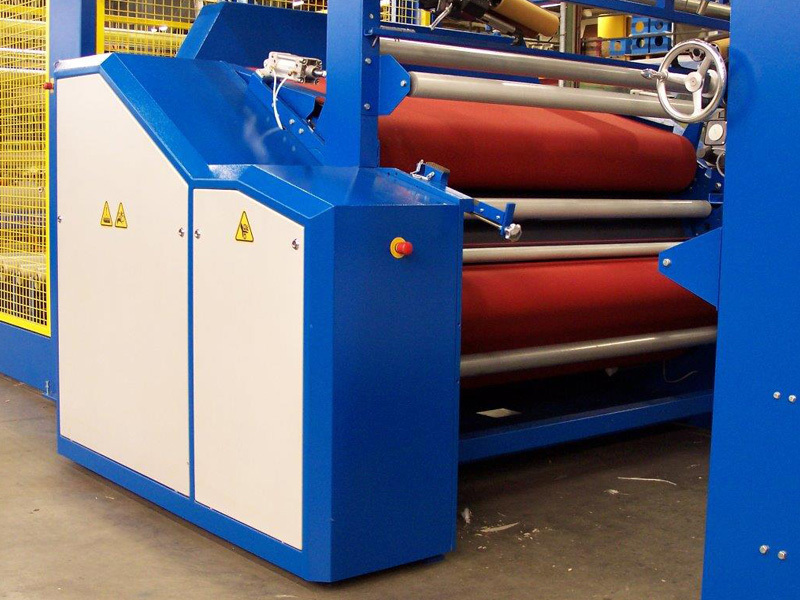 Belt laminating calenders can be manufactured for fabric widths from 180 to 600 cm and with drum diameters up to 180 cm. Systems can often be configured to individual customer specification. Competitively priced and offering good performance with a strong build quality to provide a robust and reliable system. Bonding and lamination is a very innovative method of utilising your fabrics to suit a host of applications and new market potential and doesn’t need to cost the earth! 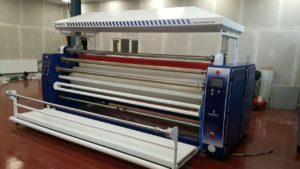 We offer a range of well built, low cost machines and all with bespoke features for roll to roll or individual pieces which are easy to use and offer real value for money. With machine widths from 1,000mm up to 3,500mm and with oil filled drum diameters of up to 1,000mm guaranteeing the capability of fantastic productivity. 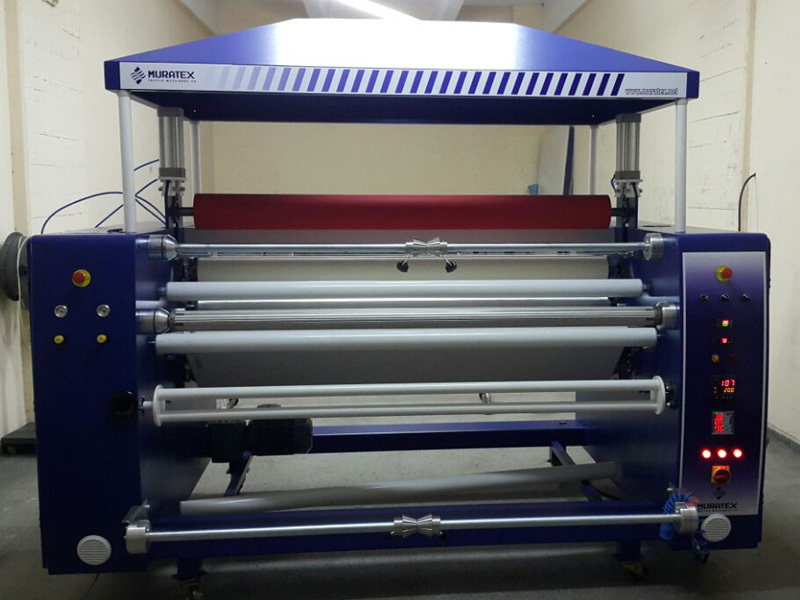 If your production requirements cannot justify a big spend then call us to learn more about our Affordable Bonding and Lamination Machinery.